Sanja Petkovic and Arnab Sinha are management consultants at Accenture, the Netherlands, where they specialize in blockchain within banking and digital payments, respectively. In this opinion piece, Petkovic and Sinha discuss how financial firms in the European country are approaching blockchain, and how trends in the technology are shaping their work and progress. Dutch organizations and banks have been at the forefront of European blockchain initiatives since 2013–14. Driven by the dire need to improve return on equity (RoE), these initiatives experimented on the technology’s potential to enhance efficiency, trust, transparency, reach and innovation in the banking model. It is therefore quite telling that, bolstered by the learning from the past three years, the summer of 2017 is seeing all the leading Dutch banks making significant headways in realizing their blockchain agendas. Early in July, 2017 two leading Dutch banks – ABN AMRO and Rabobank joined SWIFT’s blockchain proof-of-concept (PoC) initiative for the Global Payments Innovation (GPI) service. At the same time, ING successfully completed the testing of blockchain-powered trade confirmation platform in partnership with Calypso and the R3 consortium. 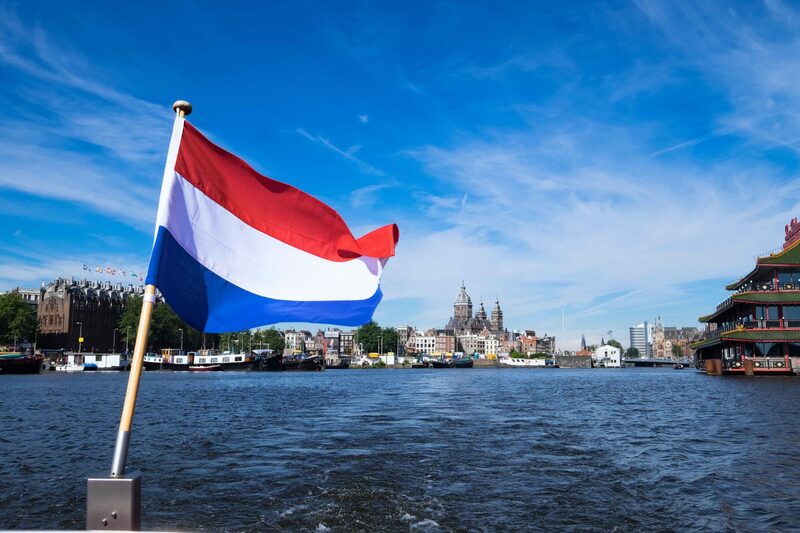 While the Dutch have traditionally been known for their innovation (Netherlands ranks third in Global Innovation Index), this success story in blockchain is often attribute to a focused coherence between policy, collaboration and supervision, propelling the Dutch banks to the forefront of multiple global initiatives. This article aims to highlight some of the key blockchain-related themes observed in the Dutch banking landscape over the recent years, the outlook for 2017–18 and reflects on few key learnings from their success. Research suggests that most large Dutch banks have intensified their blockchain initiatives in 2016–17 and are evolving from the paper-based exploratory phase by mobilizing proofs-of-concept across different business lines. ING worked on 27 proofs-of-concept in six business areas: payments, trade finance and working capital solutions, financial markets, bank treasury, lending and compliance and identity. Tangible key performance indicators (KPIs) were used to validate the results and suitability of these proofs-of-concept. For instance, the PoC on trade finance showed considerable gains in an otherwise paper-based process, resulting into potential cost savings of 10–15% and revenue uptake of 15%. On a similar vein, ABN AMRO has launched a pilot to explore how the blockchain application “Torch” can allow parties involved in a real-estate transaction to seamlessly record and exchange information. The bank also explored how blockchain might solve issues in financial auditing and compliance, in Financial Recovery and Restructuring (FR&R). Rabobank focused its initiatives on cross-border payments and micropayments, while SNS Bank moved out of traditional banking areas to test out the use of blockchain in addressing inefficiencies in healthcare system. Close collaboration continues to be an absolute necessity for exploring the opportunities using blockchain. The search for the right blockchain technology and appropriate use cases led the Dutch banks to partner with other banks and fintechs, or in joining regional and global consortiums. In 2016, ING worked with partners inside and outside the bank, including consortiums such as R3, the Dutch central bank, the Dutch Payments Association and the European Banking Forum. The bank also partnered with Société Générale and trading house Mercuria to test a live oil trade using blockchain. ABN AMRO collaborated with Dutch university (TU Delft) and Port of Rotterdam and 14 other parties to explore blockchain opportunities in logistics. This $2.2 million project focuses on the delivery of three concrete use cases: supply chain financing, inventory financing and circular economy. Meanwhile Rabobank worked with accelerator programs like Startupbootcamp, Footbytes, Rockstart and Nexus labs, and with technology providers like D+H. Also emerging have been specific platforms that are now favored by these institutions. Over the last 18 months, many proofs-of-concept were built leveraging the ethereum or Hyperledger technologies. These are among the most mature technologies for the permissioned blockchain where external actors are allowed, and as such have been widely accepted by the Dutch banks. Also, smart contracts, programmable contracts defined with computer code which can facilitate, verify, execute and enforce the negotiation or performance of contract terms automatically, are making an impact as leading blockchain use cases. They are built on top of the blockchain solution itself. ING, ABN AMRO and Rabobank are using smart contract solutions to reap the benefits of “less paperwork” and thereby reducing transaction processing costs. While 2016-17 focused on exploration and proofs-of-concept across a wide range of business lines, it is likely that in 2017–18, the Dutch banks will concentrate their efforts on selected operating areas and use cases and narrow down on solutions ripe for commercialization. The coming year will see notable advances in blockchain use by the Dutch banks – evolving from the concept phase to full blow solutions. All leading Dutch banks will have blockchain prototypes ready and will also have these solutions tested for performance and scalability. It is likely that some of these solutions will be launched as pilots (typically for payments, supply chain and trade finance offerings) and the initial concrete steps for commercialization will be taken. This evolution is in line with Accenture predicted maturity journey for blockchain, which foresees regulatory certainty steering early adoption in 2017, followed by a growth phase between 2018–24 and the technology becoming mainstream in 2025. In essence, while we are still few years away from broad market adoption, 2017–18 is likely to be the year when blockchain in banking can move from promise to real solutions. An assessment of the ongoing initiatives, proof-of-concepts and the resulting success stories provide a clear indication that blockchain readiness among the Dutch banks is considerably higher compared to many European and global markets. This is often attributed to the vibrant startup scene in the Netherlands, where technology output is driving the economy. Importance of clearly defined governance: Arranging a governance structure while keeping in mind the cooperation on different standards from different stakeholders is key to mobilize a blockchain program. Understanding the “known-unknowns” on the legal aspects of blockchain – especially when we look at the area of data privacy some challenges are expected if traditional databases are to become obsolete in an otherwise blockchain powered solution. The immutability and distribution of data: This does not typically go hand-in hand with data retention laws like the “right to be forgotten”. Human errors or mischiefs very much restrict use cases currently. Performance, data privacy, scalability and maintainability: Data privacy is still an area that Dutch banks are struggling with as trust is seen as highly important. Before rolling out into real solutions, banks must ensure that technology will not compromise client data. Early alignment with risk and compliance partners in a changing risk environment: Risk management functions within banks are traditionally not well equipped to work with multiple stakeholders. Success of blockchain initiatives are often dependent on how evolving risk parameters are addressed. There are too many different blockchain technologies currently available. To stimulate collaboration, stakeholders should have a clear vision on a single technology that will drive the implementation. While the idea of blockchain and its challenges are still being explored, the potential impact of the technology on bank bottom lines are increasingly becoming evident. An Accenture-McLagan research estimates that blockchain based database systems can reduce 70 percent of central finance reporting cost, lower 30–50 percent of compliance cost and can further provide 50 percent potential cost savings on business operations. Such compelling numbers will provide sufficient justifications as global banks prioritize their blockchain agenda for 2017–18.